Memorial Day is right around the corner. Is your grill ready? We love grilling out, especially on holidays. It is tradition. Josh always “mans” the grill. 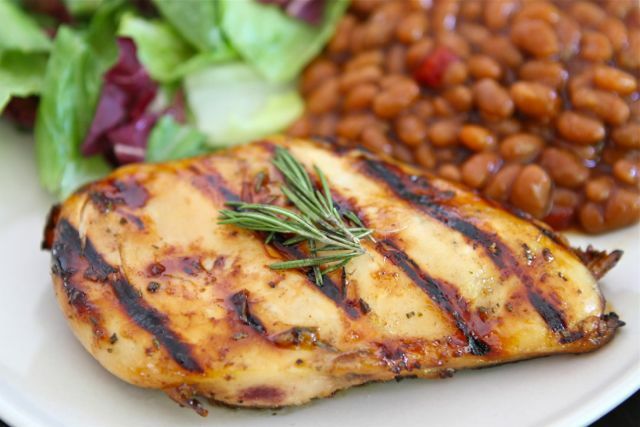 One of his favorite recipes to serve up is this Honey, Lemon & Rosemary Grilled Chicken. It is great to serve at parties because it goes with everything and everyone loves it. This recipe is super easy to make, which makes it perfect for summer parties. You can make it in advance because the chicken needs to marinate for at least 30 minutes and can marinate in the refrigerator overnight. Remove the chicken from the marinade when your grill is hot and ready! 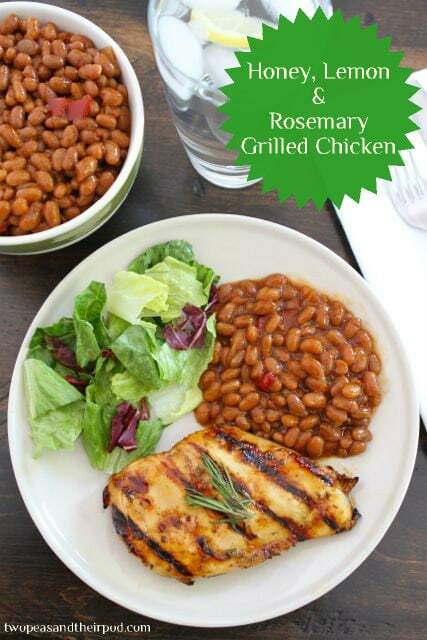 We like to serve this Honey, Lemon & Rosemary Grilled Chicken with Bush’s Southern Pit Barbecue Grillin’ Beans. The beans are a great side for your Memorial Day BBQ! “Grillin’ Bold this Memorial Day? Bush’s has the beans for it. 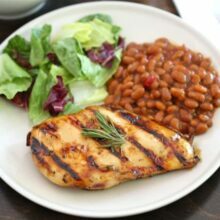 Come join the cookout with Cookin’ Canuck and Hoosier Homemade sponsored by Bush’s Grillin’ Beans.” Link up your recipe and enter to win a great giveaway! I am linking up this Honey, Lemon & Rosemary Grilled Chicken recipe! Happy Grilling! This Honey, Lemon & Rosemary Grilled Chicken is perfect for any barbecue! 1. In a medium bowl, whisk together the honey, lemon zest, lemon juice, olive oil, fresh rosemary, garlic, salt, and pepper. 2. Place the chicken breasts in a large Ziploc bag. 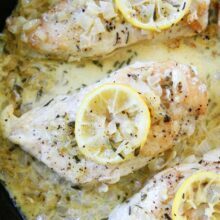 Pour honey-lemon-rosemary mixture into the bag and mix around until chicken breasts are well-coated. Place the bag in the refrigerator and let marinate for at least 30 minutes up to overnight. 3. Preheat a grill to medium-high heat and brush the grill with olive oil. Remove the chicken breasts from the bag and place on the grill. Discard the marinade. 4. Grill chicken until cooked through, about 5 minutes per side. Remove from grill and serve warm. 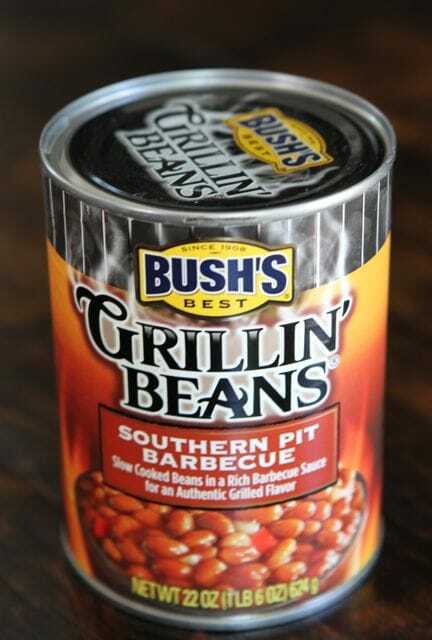 Note-we served Bush's Southern Pit Barbecue Grillin' Beans on the side! Disclaimer: This post is sponsored by Bush’s Beans, but our thoughts and opinions are our own. Oh my, that chicken has me hungry early this morning! This is one of my fav ways to prepare chicken. Delish! This sounds delicious but u left out the salt and black pepper?when do we put that in? 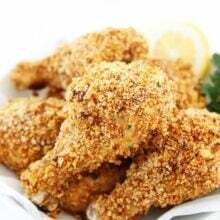 Does this honey,lemon n rosemary chicken have a sweet n sour taste to it?..thanks! Thanks for catching that! I updated the recipe:) The chicken is slightly sweet with a hint of lemon and rosemary. It looks delicious, and your pictures are just beautiful! I’m keeping a list of all the great chicken grilling recipes I’m seeing. This one is going on the list! I’m loving all these grilling recipes I’m seeing! Your chicken looks fabulous – awesome glaze and delicious marinade! I love, LOVE rosemary and chicken. This looks like a great, healthy recipe. Looks great, perfect summer flavors. Chicken is by far my absolute favorite grilled item. Looks fantastic! I love the smell of chicken on the grill! I love this combination; perfect for summer! I love this time of year when we do most of our dinners on the grill! Honey and rosemary is such a classic combo, love it! I love honey lemon and rosemary and on chicken? All the better! Looks delicious! I’m addicted to rosemary these days and putting them on everything! This looks like a good one to try! I normally make my honey lemon rosemary chicken in the oven, but grilling makes the chicken look so pretty! Yum!! I love grilled chicken, and these flavors sound wonderful together! Will be trying this over the summer for sure! Oh yum, I love simple grilled chicken recipes. Great combination of flavors Maria! Perfect for summer, and something my kid in-laws would love! They are somewhat picky eaters, but you are right–this is simple, easy, goes with everything, and everyone would love it! So simple and fresh! Love it! Mmmmmm! I love honey chicken! I always have to do a double take when I see meat on your site! Love this recipe, though, and can’t wait to fire up the grill! Josh eats meat so sometimes I allow it on the blog…ha! Honey/lemon dressings are my absolute favorite!! They make everything taste so delicious. I am also slightly obsessed with rosemary so I will definitely be trying this. Mmmm, great combo of flavors! #3 calls for canola oil. I don’t see it listed in ingredients. Is the olive oil supposed to be canola oil? Thanks for catching that. I updated the recipe! The oil is used to brush the grill. This is so perfect for summer – I am ready to get the grill fired up! That is my kind of dinner! It all looks so good. My grill is ready too! I gotta try those beans, they look really tasty. thats so yummy! Do you have a post on baked beans? homemade? That chicken looks really yummy! I’m going to try it. Sounds like the perfect chicken recipe! YUM! This makes me want to have BBQ and make some margaritas ASAP. YUM! Lemon and Rosemary is the best combination for Chicken. What a great recipe! Love this! We love to grill chicken and this one is going to be a keeper, Maria! I’m always on the lookout for great grilled chicken recipes. This looks so tasty! Just made this dish. It was easy and delicious. We need this for dinner tonight! 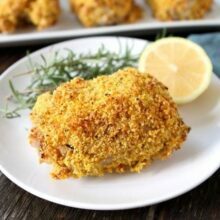 Made this for dinner tonight, and it was great!! The flavors blended together perfectly! I made this yesterday and it was delicious!! It smelled so good while grilling too – when I opened the lid to flip the chicken over, it smelled wonderful. Thank you for a great marinade recipe! It’s barbecue season! So simple yet classic! Can’t wait to try this! AMAZING! My family said it was the best chicken they’ve ever had! Made this tonight with grilled corn, a buttermilk-yogurt dressed salad and thyme seasoned zucchini and squash. This chicken dish was so simple yet so flavorful and unbelievably moist! Its now in my go-to chicken recipe book! Hello from Nova Scotia, Canada! My husband and I made this for dinner tonight and absolutely loved it! Great job 🙂 I’m a new fan of your blog!!! I made this last night and it is delicious! 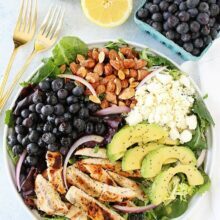 I love this site; fresh and easy recipes. So glad I found two peas. Made this last night for my husband and I – wonderful! Definitely will go on our favorites list! We ended up baking the chicken due to lack of access to a grill right now – bet it tastes amazing grilled too! Tasted just awful … a horrid experience. I made this delicious chicken, using the marinade, but don’t have a grill so cooked in my crockpot. So good!